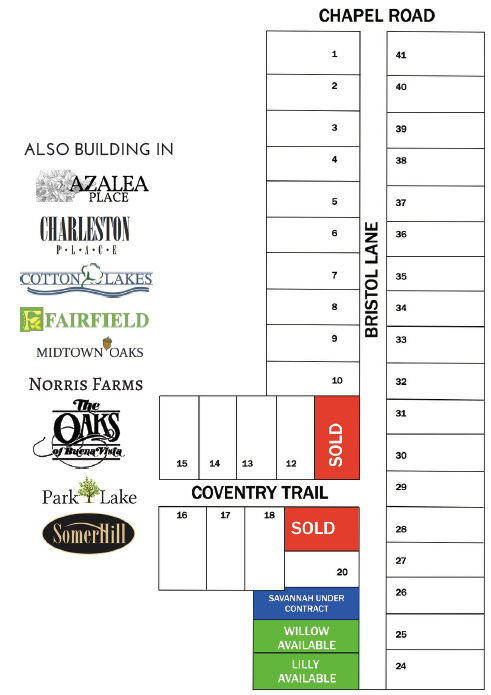 Goodwyn Building's newest community is within five minutes of Wetumpka schools and priced for less than $150,000! Hearth Haven is just 15 minutes from the calm waters of Lake Jordan, and less time than that from the scenic rapids of the Coosa River. Haven includes curbs, gutters, city sewage service and is situated inside the city limits. These high performance homes combined with this prime location and price cannot be beat! Financing Information: $0 Down! Payments start at $835! Builder pays $3000 toward closing costs! Directions from Highway 231: From Montgomery, take Highway 231 North heading into Wetumpka. Turn left on to Coosa River Parkway, which is Highway 14 west, and travel 2.2 miles and turn right on to Chapel Road. Wetumpka Intermediate School will be on your left. Then go 1.3 miles and the subdivision will be on your left. Turn on Hearth Haven Drive.